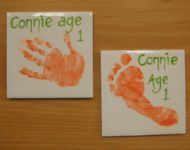 We can come along to your group or club, or you can come to our studio if you prefer, for a baby hand-and-footprint session on a range of pottery. 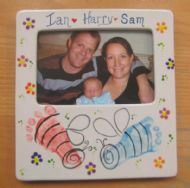 Pottery prices start at just £4.00 all-inclusive. Call us to discuss your group's requirements and we'll put together a deal for you. 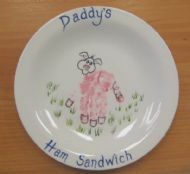 We specialise in making unique designs out of little hand and foot prints to create precious mementos and gifts, for parents, grandparents, godparents, aunts and uncles.... everyone your little one is adored by!